Always be prepared for a due diligence. This is good advice whether you are looking for investment in your startup or you own a mature business ready for an acquisition. Being primed for a due diligence can increase the chances of actually signing the deal, and it could shorten the overall process, which means you will get your money sooner. Additionally, being prepared helps build confidence in your business in a way that could affect its valuation. Here are ten tips to get you going. Don’t wait until the point when your company needs an investment to organize your affairs for due diligence. Keeping a tidy house from the incept should be a priority. 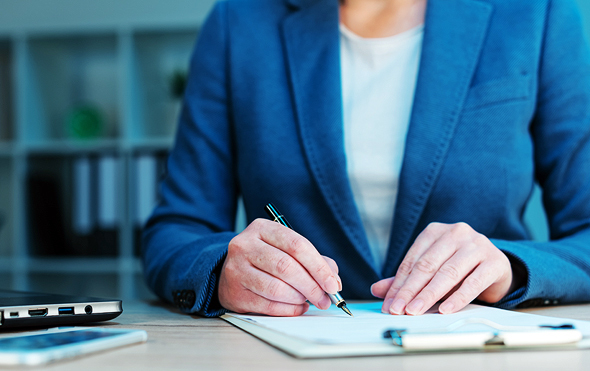 Make sure you have an orderly system for gathering and storing all of your business’s contracts, receipts, important correspondence and everything else that an investor or acquirer may find important. Here a piece of advice I always give my clients: send your lawyer or accountant everything you have. We usually have a well-developed system of document retention, and can serve as your “backup” for these important documents. Even if you live in a country where English is not the official or most commonly spoken language, it is advisable that your company’s documentation is done in English. It is likely that not all investors or acquirers speak your local tongue, while it is very likely that they are well versed and accustomed to working in English. After years of working at keeping a tidy house and retaining every last piece of information, the last thing you want to be doing at the literal “money time” is translate your life’s work into English. Don’t wait for an investment or sale to make sure your most important documentation is in order. Make sure as you go that all agreements are fully signed, that each freelancer that you hire assigns the intellectual property he or she creates over to your business, and that all of your partners have signed the same formation documents. It can be very frustrating to have to chase someone you haven’t spoken to in years in order to get their signature on a long-forgotten IP assignment document, which will prove crucial for your investor. In the ordinary course of running your business you are likely to sign dozens, if not hundreds, of confidentiality undertakings. These can be in the form of a dedicated non-disclosure agreement (NDA) or one of the provisions of any contract. Sometimes, these non-disclosure undertakings include an obligation to refrain from disclosing the very non-disclosure undertaking or contract of which it is a part! In such cases, you will be prohibited from disclosing all of your agreements to the potential investor or buyer. Make sure that your NDAs and other non-disclosure undertakings include an exclusion for due diligence. This one should be a no-brainer. You should try to avoid disclosing sensitive information without having the receiving party enter into an NDA. This is not always possible, as some investors are reluctant to sign NDAs and rely on their reputation, but you should nevertheless try. This is not only to protect your information, but also to show to future investors and acquirers that the information they are buying is protected. Many businesses use an internal document filing system, or commonly used freeware (such as DropBox, Box, Evernote or others) to keep their documents in order. These are fine for day-to-day needs, but when a full-blown due diligence process is underway, you should upgrade to dedicated software. Most dedicated software have advanced features, such as the ability to decide which users can access information, tools for tracking document reviews, indexation tools, and backup and retrieval features. There are attorneys, accountants, and tax and business advisors who have gone through this process countless times. Get an expert on your team. This is an advanced tip: If you have the time and financial resources, it is worthwhile running a “self-audit” or “vendor due diligence” on your business. Get your advisors to investigate your business as if they were acting as a potential investor or buyer. Tell them to be ruthless and to identify any potential exposures. This will help you remedy any major issues early on, or at least will prepare you for the hard questions. Any major unresolved exposures, such as pending or threatened litigations, are red flags for investors and buyers. Unresolved exposures reduce deal value and should be dealt with well before there is a deal on the horizon. Once the due diligence process has started, unresolved exposures are much more difficult and costly to address. The more serious they are, the likelier they are to delay or even kill a deal. Anticipate, review and try to resolve any such exposures in advance. Your potential investor or buyer is attempting to get a handle in weeks over information that it took you years to create. It’s your job to facilitate the due diligence process. Guide your counterparty through the learning process. If there are requests for missing data, respond promptly. You gain credibility and give comfort when you respond to due diligence requests in an organized, detailed and complete manner. Yaniv Aronowich is a partner at Tadmor & Co. Yuval Levy & Co law firm, where he co-heads the Cross-Border and Domestic M&A department.